It is often heard about green tourism recently. But what kind of rest is it, how does it look like? Let’s try to have a good understanding of this question, on the example of eco-tourism in Ukraine, which offers tourists such type of the rest by affordable price. During the rest tourists, mainly, settle in the private sector. Moreover, for many it is important to have the restaurant of national cuisine near. You can find these estates in the Transcarpathian, Ivano-Frankivsk and Lviv region. Tourists identify several ideal destinations for eco-tourism — Slavske, Dragobrat and, certainly, Bukovel. Eco-tourism in Bukovel in the Carpathians – What can we see and do there? Ukraine combines many factors in the development of green tourism, geographical position, landscape and climate conditions, and natural resources. Especially generous nature endowed western regions, which is why today eco –tourism in the Carpathians is widely developed. Clean mountain air, stunning views, healing mineral springs, unique conditions for active and extreme leisure in summer and in winter — it’s all here, in the Carpathians. In winter you can go skiing, sledding or snowmobiling, and in summer — go hiking, horseback riding or quad driving. Small Carpathian villages, located far from the hustle and bustle of the metropolis, authentic culture, wonderful Carpathian cuisine, hospitality of local residents — are all ideal conditions for the development of green tourism. Besides the amazing nature, the Carpathians have something to surprise you — caves, waterfalls, estates and old castles. Climatotherapy and aerotherapy, combined with moderate physical activity can improve health and help to strengthen the body. In the Carpathians, you’ll be treated by mineral waters . Healing qualities of the Carpathian herbal teas will give you supply of energy for the year ahead. Summer in the Carpathians, no less exciting! 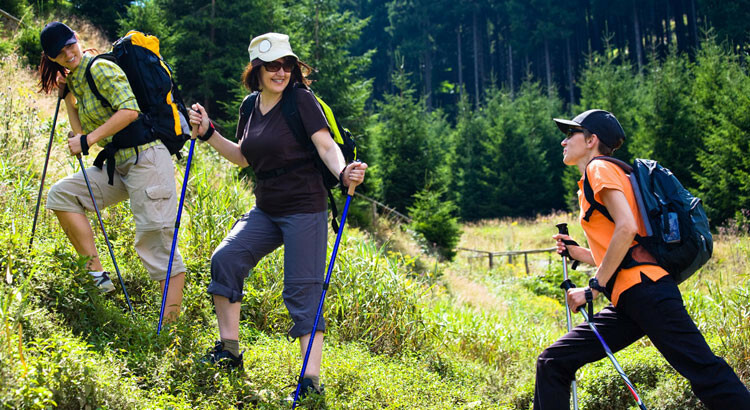 You will definitely appeal to walking spectacular routes, swimming in the waterfalls and mountain lakes ,as well as conquering the highest peak of Ukraine — Hoverla.